Medical malpractice occurs when a patient suffers harm due to the negligent actions or inactions of a medical professional. This video takes a closer look at medical malpractice and how you can tell whether your case is legitimate. A physician, anesthesiologist, or pharmacist may be found guilty of medical malpractice if their conduct falls below the generally accepted standards of care and result in treating you. Examples include failure to diagnose a condition properly, errors during treatment, and improper medication prescriptions. You can learn how to file a personal injury claim for medical malpractice by watching the full video. For more information about your legal options following an instance of medical malpractice, contact Pegalis & Erickson today at (516) 684-2900. 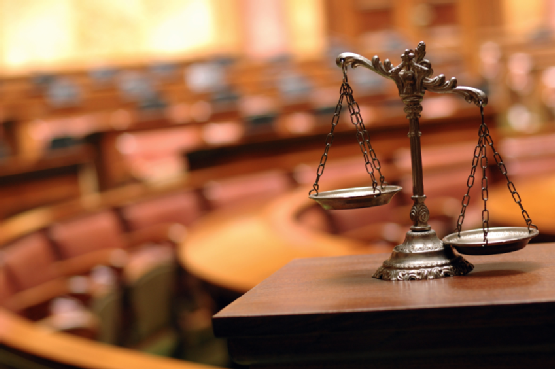 Our medical malpractice attorneys are your Long Island resource for high-quality legal representation. The material contained on this website is for informational purposes only. It is not to be considered legal advice. Transmission of the information is not intended to create, and receipt does not constitute an attorney-client relationship. Any electronic correspondence, either through this website or through telephone or email with this firm is not to be considered a retention of this firm or any of its members, associates, employees or agents. Pegalis and Erickson’s Own Linda Oliva, Esq. Is Volunteering For a Special Mentoring Program on Wednesday Night! Our very own Linda Oliva, Esq. 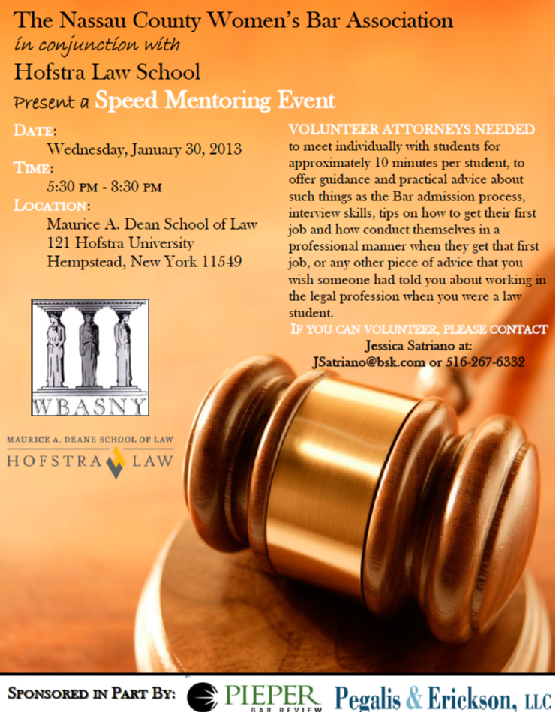 is a Board member of the Nassau County Women’s Bar Association and she is volunteering this Wednesday, January 30th, for a special speed mentoring event from 5:30 PM – 8:30 PM. Check out the flyer below for more information! 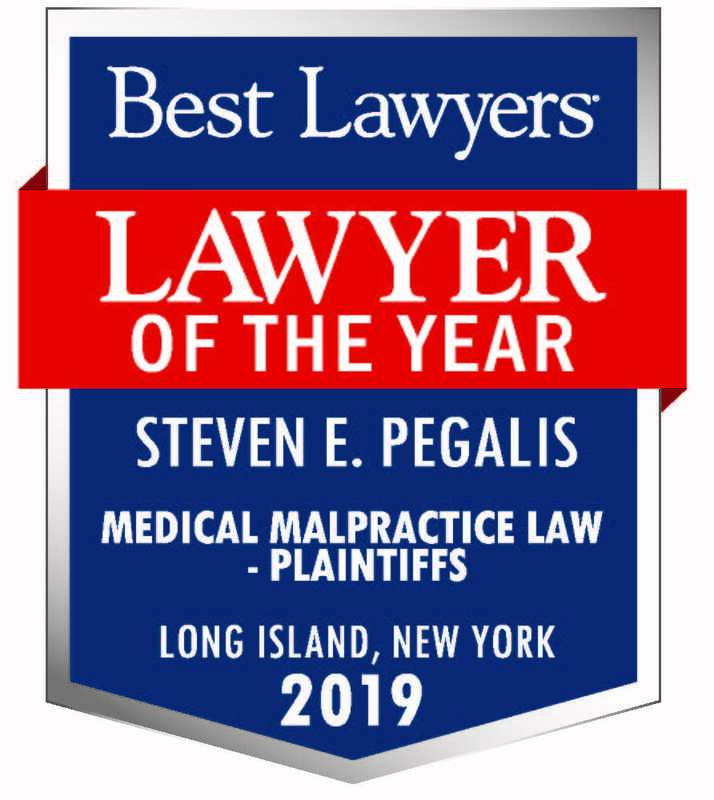 Pegalis and Erickson’s medical malpractice attorneys are your Long Island resource for high-quality legal representation.Give us a call today at (516) 684-2900 to schedule an initial consultation. Steve Erickson of Pegalis and Erickson recorded an interview on January 13th, 2012 giving great information on the topic of medical malpractice. Check out the full interview here! Annamarie Bondi-Stoddard Named One of The Top Attorneys by New York Metro Super Lawyers! 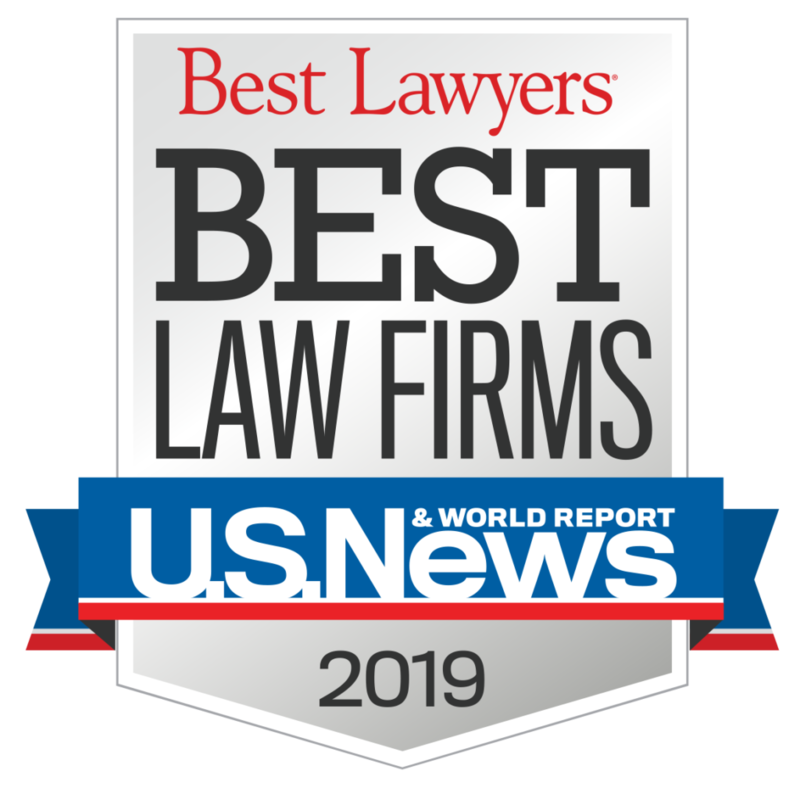 Annamarie Bondi-Stoddard, managing partner of Pegalis and Erickson, was one of only seven female lawyers named to the most recent New York Metro Super Lawyers list of top attorneys in the plaintiff medical malpractice category. Bondi-Stoddard joined Lake Success-based Pegalis & Erickson in 1984, a year after she earned her law degree from Boston University. She quickly moved up the ranks, becoming managing attorney in 1986 and managing partner in 2001. Bondi-Stoddard represents plaintiffs in a wide range of medical malpractice cases, including women’s health issues and birth injuries, as well as surgical, neurosurgical, cardiac and cancer-related cases, in which negligence is involved. When you or a loved one has suffered an injury due to malpractice, it’s time to contact your Long Island law firm. Give the medical malpractice attorneys with Pegalis & Erickson a call at (516) 684-2900 to set up an initial consultation. We handle a wide variety of medical malpractice cases, including those affecting children. Annamarie Bondi-Stoddard Named to ‘Ones to Watch in Law’ by the Long Island Business News! Annamarie Bondi-Stoddard, managing partner of Pegalis and Erickson, was named one of the ‘Ones to Watch in Law’ by the Long Island Business News! Check out the Long Island Business News here. Welcome to The New Blog of Pegalis & Erickson! We’re excited to welcome you to the brand new blog of Pegalis & Erickson! You can now find us online in more places! Follow us on Google Plus here! Be sure to check out our blog and social sites often for the latest news, special updates and more! Visit our website here for more information or give us a call today at (516) 684-2900.